Mutianyu section of the Great Wall. A breathtaking experience! Discover a new way to see the Mutianyu section of the Great Wall – by cable car! 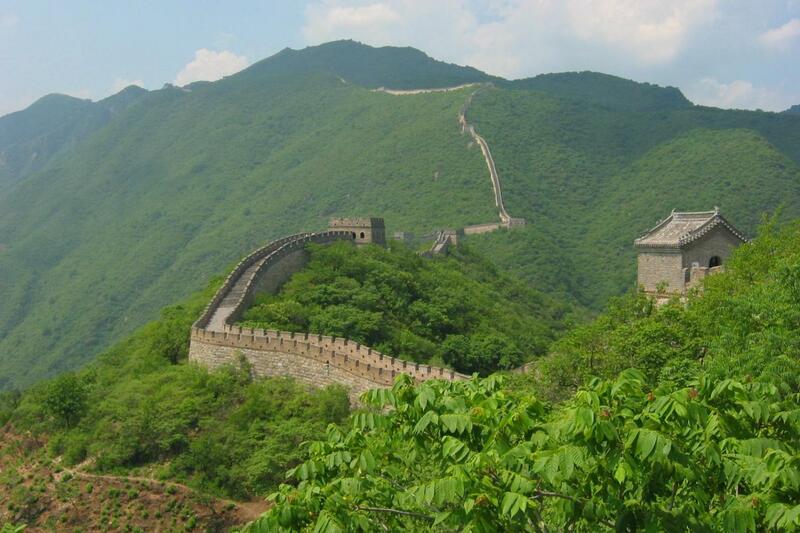 Mutianyu is the most impressive section of the Great Wall of China accessible from Beijing. Known for the beauty of its precipitous terrain it runs along the high mountain ridges. In order to more easily enjoy the panoramic views, we include convenient access up and down by cable car. On your journey to Mutianyu, you will stop at the Jade Factory and learn about the ancient culture of Chinese jade. For lunch, you will savor a typical home-style meal served in a farmer’s courtyard. And on your return journey you will experience a traditional and relaxing tea ceremony. Although this section was closed due to rain, the Grayline staff took us to an alternate section of the Great Wall. Also our visit to the jade factory and the tea ceremony were excellent. Our guide Grace gave us information on the history and traditions before we arrived so that were comfortable with our tour.